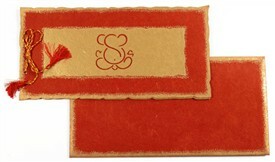 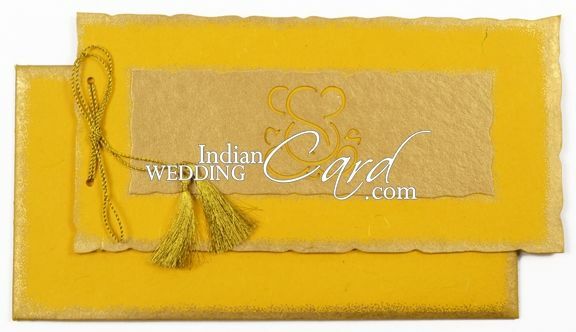 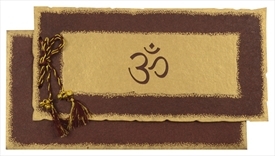 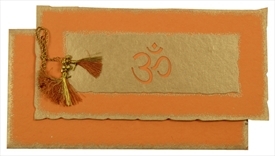 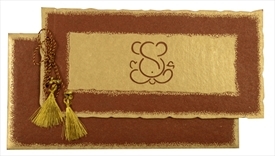 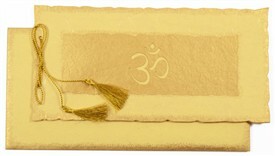 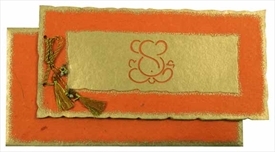 D-4968, Yellow Color, Handmade Paper, Laser Cut Cards, Hindu Cards. 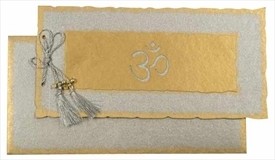 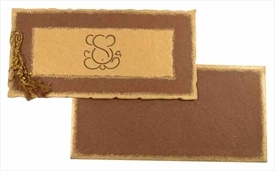 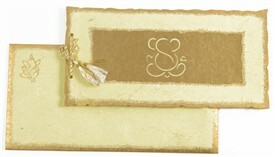 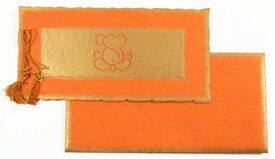 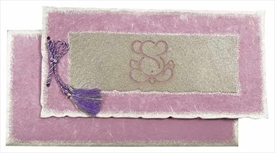 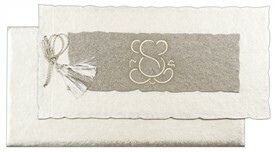 Yellow color silk handmade paper (250gsm) for the 3 inserts and mailing envelope. 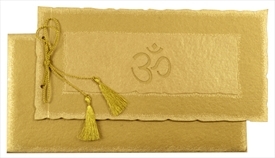 Golden handmade paper paste-up on front.